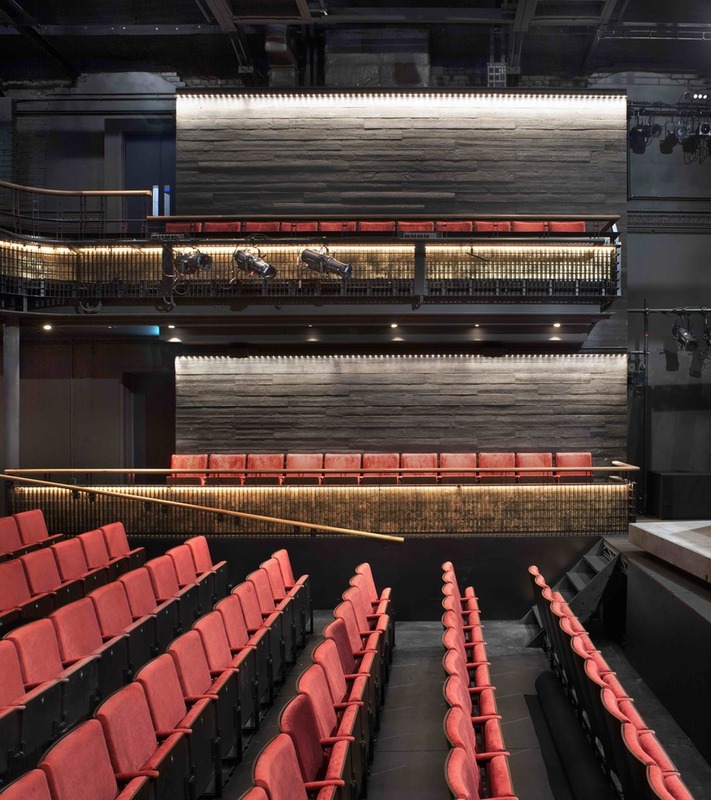 After two years of extensive renovations the Tricycle Theatre in Kilburn is reborn as the Kiln Theatre, reopen on 5th September 2018 with the world premiere of Alexis Zegerman's dark comedy Holy Sh!t. The theatre was founded in 1980 and rebuilt after a devastating fire in 1987. This latest refurbishment has improved accessibility and increased the size of the 294 seat main theatre space. In addition, there's a smaller theatre/workshop space (the James Baldwin Studio), a workshop room (the Creative Space), and a cinema. There is also a cafe-bar and an art gallery on site. Kiln Theatre, Fuel and Birmingham Repertory Theatre presents award-winning poet and playwright Inua Ellams's contemporary myth about conflict amongst two Gods, which transports the characters from a tiny village in South West Nigeria to Mount Olympus. Directed by Nancy Medina. What are the best dining options near Kiln Theatre (formerly Tricycle Theatre) London? Kiln Theatre (formerly Tricycle Theatre) gyms, sporting activities, health & beauty and fitness. The best pubs near London Kiln Theatre (formerly Tricycle Theatre). Kiln Theatre (formerly Tricycle Theatre) clubs, bars, cabaret nights, casinos and interesting nightlife. Where to have your meeting, conference, exhibition, private dining or training course near Kiln Theatre (formerly Tricycle Theatre). From cheap budget places to stay to luxury 5 star hotels see our discounts for Kiln Theatre (formerly Tricycle Theatre) hotels, including Best Western Maitrise Maida Vale Hotel from 0% off.